Ukrainian scholar Arsen Hudyma lives in his creative achievement and in our religious studies memory. Field observations as an indispensable tool for religious studies. Everyday religious practices as a component of social interactions. 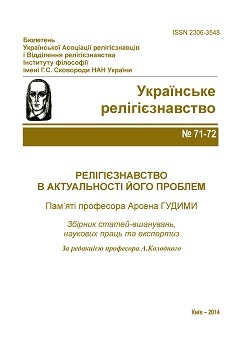 Interpretation of the nature of the relation of faith and reason, religion and science in the Ukrainian spiritual heritage. Religiousness of Ukrainians: trends of the decade.